When I talked with Jason Radley, he was nearly back home in Iowa City after a weekend trip to Minnesota with his wife and two children, ages seven and 10. Fortunately, the kids were riding in another car with grandma and grandpa, so Radley was feeling pretty good. The grandparents are “probably the ones who are stressed,” he said. Given their ages, “we probably put them in undue risk, if you extrapolate my work” to humans, joked Radley, an assistant psychology professor at the University of Iowa. That work, done in rats, suggests stress may cut into cognitive ability – specifically memory – as people age. The research, published last month in The Journal of Neuroscience, found that older rats showing signs of stress – that is, elevated levels of a stress-related hormone – not only performed more poorly on memory tests; they also had structural changes in a key brain region responsible for short-term memory. The report follows other research with similar conclusions, making chronic stress a likely addition to the cast of health villains that contribute to declining brain function late in life. But don’t tell your significant other you’re spending your days playing video games and drinking beer, all in the name of reducing your stress to preserve your memory. There are caveats to the study, which included a fascinating experiment involving a T-shaped maze. Stress, as Radley and other researchers tell us, isn’t all bad. It was a necessary survival tool for our ancestors – a way to respond to threats. Finding a bear in their cave sent their heart rates soaring and made them ready to fight or, more likely, flee. The damage comes from chronic stress – facing enduring problems like war, poverty, a long-term illness, death of a loved one, and other situations. In these cases, stress can contribute to high blood pressure, obesity and mental illness. Radley and his colleagues, including the paper’s lead author, psychology graduate student Rachel Anderson, wanted to know how that kind of stress affects brain function. Their hypothesis was promoted by other research dating back to the late 1990s linking high levels of cortisol, a hormone produced in response to stress, to a decrease in the volume of the hippocampus, a brain structure. “The hippocampus is important for memory for human language and the things we remember in our daily life,” like what we ate yesterday, Radley said. Significantly, the cortisol-associated decline in the hippocampus was found in both animal models and in humans. That made other neuroscience researchers wonder how stress-induced cortisol affected other brain regions. Radley and his colleagues (including graduate student Andrew Birnie, 2014 graduate Norah Koblesky, and research assistant Sara Romig-Martin) knew of studies involving Vietnam War veterans that suggested elevated cortisol might be linked to declines in the prefrontal cortex, a brain region that acts something like a switchboard operator. “You tell me the number to order pizza and I have to remember it long enough to type it into my phone,” Radley added. “A minute later I couldn’t tell you what that number is. 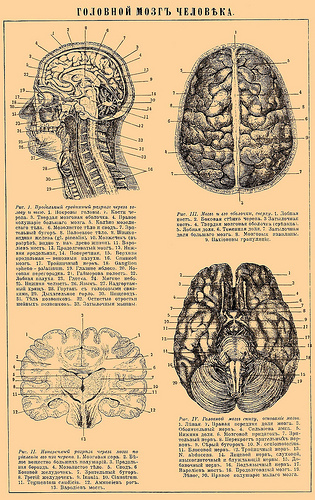 … It’s not relevant any longer.” That’s what the prefrontal cortex does. For much of the last decade, Radley said, researchers have zeroed in on the prefrontal cortex as “a singular target for the effects of stress,” gaining attention because it’s particularly vulnerable. First, the U of I researchers got the rats: Some old, some young, some with high levels of corticosterone (the rat analog of cortisol in humans), some with lower levels. For both species, however, some individuals have elevated corticosterone or cortisol levels even at the times when they should be low. So rats were placed in four groups: Young ones with low corticosterone levels; young ones with high levels; old ones with low levels; and old ones with high levels. With each run, the direction the rats had to turn to get the treat changed: right, then left, then right, then left. In essence, the rat has to remember which direction it went the last time – and go the opposite direction to get the chocolate. Each training run was separated by just 15 seconds, and the rats got pretty good, going the correct way more than 70 percent of the time. Then the researchers started stretching the time between runs: first 30 seconds, then 60, and then a full two minutes. All the rats did worse, but the old rats – even those with higher corticosterone levels – mostly kept up with the young ones at 30 seconds. At 60 seconds, Radley said, all the aged rats showed a significant but mild memory decay, with most of it attributable to the ones with high stress hormone levels. At two minutes, “Only the aged animals with high stress showed an impairment, and it was a significant drop in performance,” he added. In fact, the U of I release says, aged rats with low corticosterone levels got the maze right 80 percent of the time, compared with 58 percent for their peers with high levels. For the younger rats, corticosterone levels seem to make no difference – showing once again that young folks have it in spades over the geezers. That suggests, Radley said, that young rats may have an as-yet undetermined way to compensate for the higher levels – or that high corticosterone’s effects on brain function accumulate over time. “The latter is clearly a more appealing idea, but our study doesn’t specifically” show that, he added. The kicker came when the U of I team examined tissue samples from the rats’ prefrontal cortexes. They found neurons in older rats, compared to the younger ones, had 11 percent fewer dendritic spines – parts of the brain cell that receives input from synapses, the tiny spaces between neurons across which impulses pass. 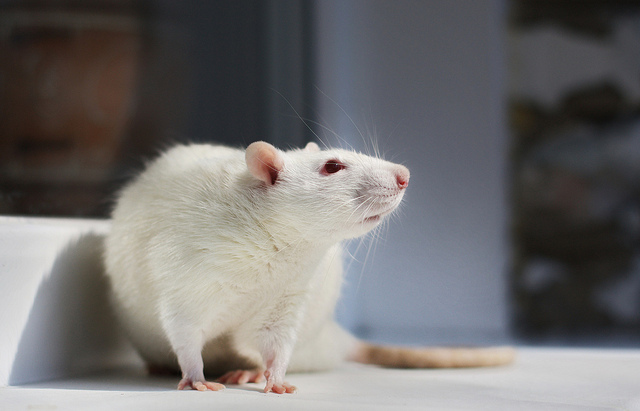 But in the old, high-corticosterone rats that performed poorly in the maze, there was a 20 percent decline in dendritic spine density compared to both young rats and old rats with low stress hormone levels. And the old, high-corticosterone rats also had smaller dendritic spines. “The synaptic decline gives us a little bit more of a mechanism for how cortisol may relate to memory impairment at the cell level,” Radley says, and strengthens the correlation between high hormone levels and memory loss. Of course, all this must be viewed with a great deal of caution. First, these are rats. “We still need to do the work in humans and study this more carefully. That’s clearly the next step,” Radley said. Plus, “we don’t have a mechanism. Our study doesn’t show that blocking increases in corticosterone prevents all these effects,” only that there’s a correlation between higher levels and memory loss. Along with that, we must remember (even with our creaky brains) that aging and memory are complex things, with many factors influencing their progress. While stress may be a factor, it’s hardly the only one. In the meantime, it can’t hurt to mind your stress. Reduce it by talking with friends and family, exercising, and eating right. Maybe even play some video games and drink some beer.